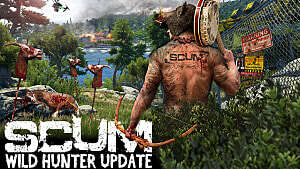 There's plenty going on in SCUM to hold your attention. 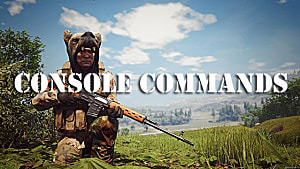 You're fighting puppets attempting to kill you, trying to survive with all of your health meters constantly needing attention, and you're also competing against other players populated on your server trying to take you out. 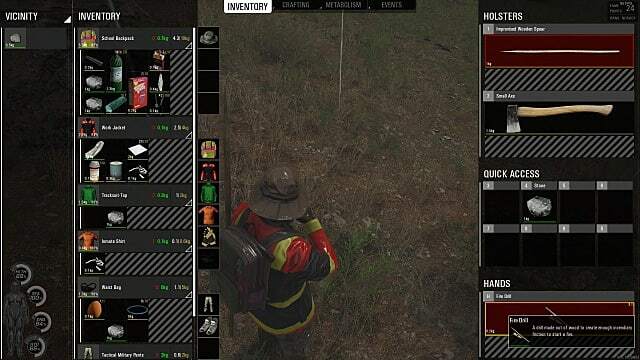 But when it comes to survival, what are the things you need to have ready in your inventory? 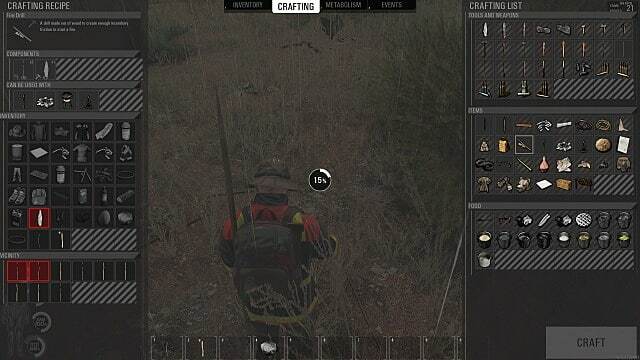 The crafting page in SCUM doesn't give you the best idea of what you should focus on next or what you need to start working towards. This guide will break down what items you should work towards crafting, along with advanced items you should collect to improve your chances of survival! These are the three things you absolutely need to start out when you first jump into SCUM. 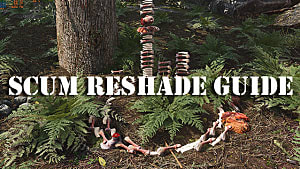 The first item you'll want to locate is a handful of rocks, this way you can craft your stone knife as quickly as possible. You won't get far without one, but luckily it only requires two small stones to get made. It's a basic knife and even if you do upgrade to the next one, the metal knife, keep your stone knife in your inventory. You're going to need a stone knife to craft the first, most basic spear available to you. When you can make a spear, you don't need to sacrifice your superior knife to make it. You'll use your stone one. Both of these items shouldn't take you long to locate. 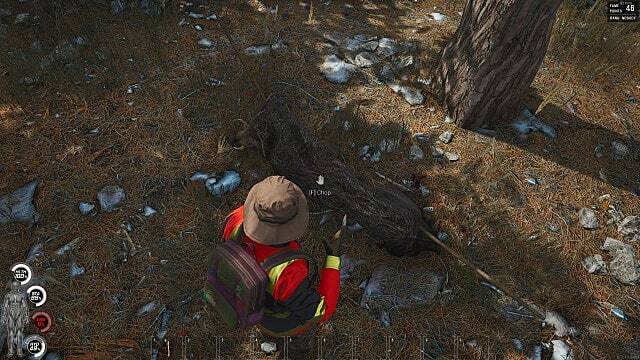 You can likely find a long branch in a nearby bush to craft your spear within seconds of crafting your knife. You're going to rely on your spear as your main weapon for quite a bit of time, so swing it around a bit to get used to how it attacks. These shouldn't take you long to locate if you've already crafted your spear. Though the fire drill only comes with three uses, it's an ideal starting item so you're not relying on the chances of finding a box of matches or a lighter. 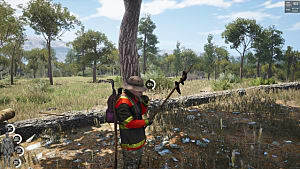 With your basic tools in tow, you're ready to start working towards crafting some bigger items to make your life easier and survive the island. 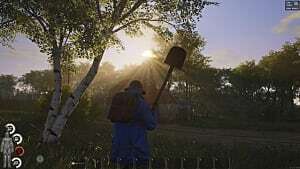 As much as you may want to run through the cities scattered throughout SCUM, you won't be able to craft the really useful items until you take down your first animal. A beast carries extremely useful ingredients for you to use in crafting. When you do land your first animal kill, what should you focus on first? After you've killed your prey, you're going to break it down into sizeable chunks to work with. Continue right-clicking on the animal parts until you have a number of large pieces to work with. For example, when you kill a boar you'll have the ability to cut up its carcass. After you chop it up, you'll have its head and various limbs at your disposal. You still can't cook or use anything in this state, you need to cut down the larger pieces even further. Eventually, you'll have sizable pieces of meat you can cook, along with the boar's bones. When you get the boar's bones, you've hit the jackpot. An animal's bones are incredibly useful for you to use, especially if you've been watching your character's hydration levels. 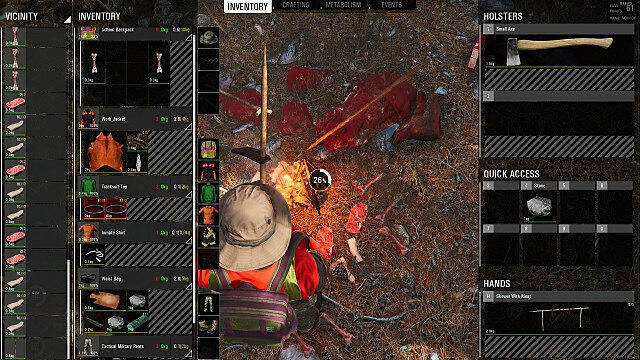 You can craft a makeshift bone needle using the animal's bones you've acquired, along with any sharp object you have in your inventory. It's quick to make but exceptionally useful. Though, if you've run across an actual needle while you were searching buildings, you can use that instead. 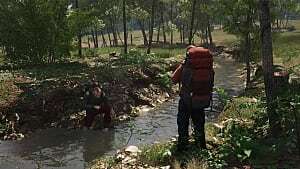 With this item you can now visit water streams you find in SCUM and gather water at your leisure. You won't have to rely on finding a water bottle in a small town or locating a soda container to later use. Its an extremely useful item and when you've killed an animal for food, you're now secure on liquids and food. 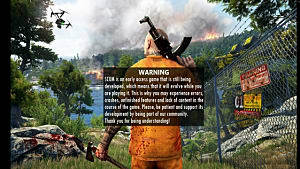 This covers the more vital parts of surviving the health stats of SCUM, but soon you're going to need to defend yourself against people. 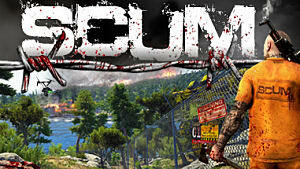 Players in SCUM won't fight the same way the puppets do. They're going to have just as many resources available as you do, though some may have gotten luckier. To ensure you win every human encounter you have in the game, here are several items you should focus on crafting. You can swap out the first component for one of five different metal pieces you find on the map. Whichever one you choose does not reduce or improve the quality of your ammunition. However, you always need gunpowder, a leader sheet, and a toolbox to make it all work. Of the components, the toolbox may prove the most troublesome to locate. It's a large container that you're going to have to carry around with you -- unless you have enough storage space. 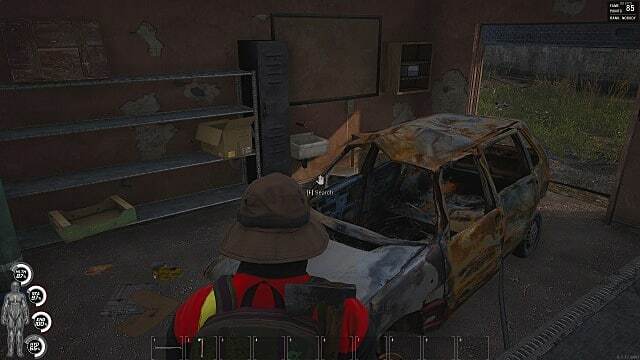 You can normally find these in one of the big garages, typically with a run-down car that you can loot. Stick around these garages long enough and you'll have a small armory in your backpack ready to unload on any unsuspecting player you run into. When you're fighting for survival, you're just as likely to get damaged as you are to dish it out. Knowing how to handle any wounds you have will make the difference in numerous encounters you run into. Unfortunately, a lot of the items you're going to need to treat your more serious injuries you're going to have to find, such as the antibiotics and the emergency bandages. These items are for phase 2 and 3 injuries. This bundle of rags will take up less inventory space than all five rags or rag scraps would. These are great to have around if you need basic supplies for a wide assortment of items. If your prisoner is still sick after you've applied the bandages, there's probably more going on to them. To assess the damage, hold the 'tab' button and you'll see a radial menu pop up. At the top, you should see a medical icon and when you click on that your character will diagnosis themselves. This tells you what's going on with your character, and it likely means they need antibiotics to properly recover. 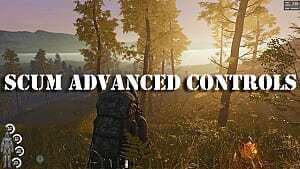 As of right now, you cannot craft these more advanced items in SCUM, but these features are going to release in the future. Grey: You do not have the proper skill for crafting this item. Yellow: You possess some of the crafting materials required to build this item. Red: You do not have any of the crafting materials required to build this item. By understanding these colors, you should be able to quickly glance at your crafting menu to know what you can and cannot make. Unfortunately, if you want to know which of your skills you need to increase in order to craft an item, you cannot do so at this time. This will likely change in a further patch from the developers. 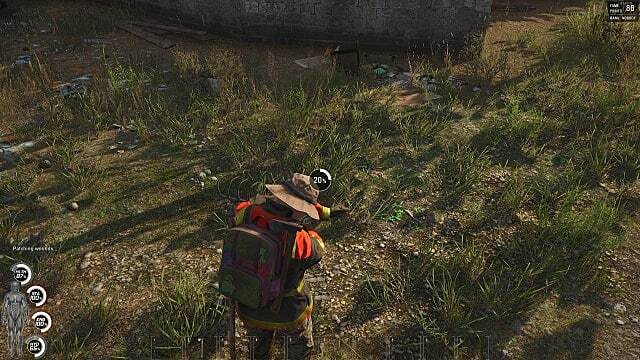 These helpful items should prove extremely useful to you during any stage of your survival while in SCUM.